2. 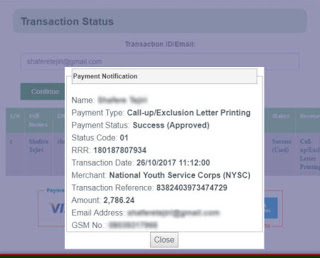 Type in, either your transaction id or the email address you used to sign up at nysc portal. below are the different status messages you will see after clicking on continue and what they indicate.